I had the idea early on to dress Sonja as a clown and Amelia shares my thoughts. I then looked up dog costumes, and lo and behold; I found this cute thing: S-l1600 (32), S-l1600 (33), S-l1600 (34). 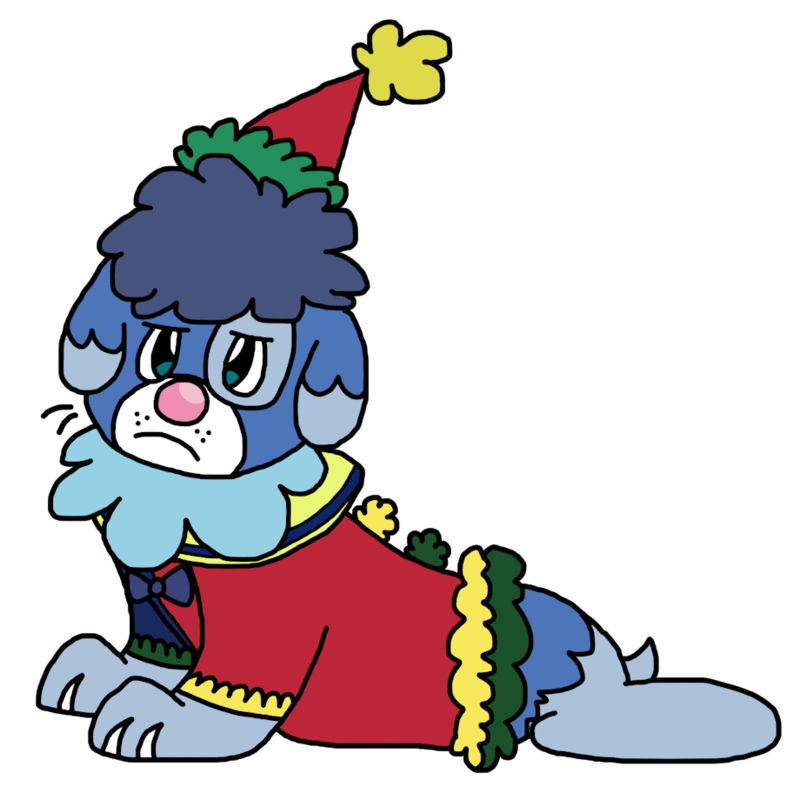 After dressing her as a clown, because she thought it was cute, Amelia has to look at her unamused Popplio's face. It's already humiliating enough that I'm forced to be a Pokemon for the rest of my life, but you decide to demean me and dress me a LITERAL CLOWN, BECAUSE YOU FIND IT ADORABLE?! Also, yes, this is a loose "parody" of the parody of Poppliacci and... I, uh... read Tv Tropes too much.